This little review has been a long time coming. Too long. I have my reasons, my excuses. And, this time, they’re actually pretty good ones. Mostly, it’s because, in order to do the pipe justice, I felt it important to do more than just smoke it a few times and scribble down some sketchy impressions. There’s enough different about the AeroBilliard, and enough good about it, that it deserves a little more thought than that. So, I’ve been smoking and thinking about it. For months. Finally, prompted by a question in last month’s Ask G.L. Pease column, I’m ready to share some of those thoughts, even if it almost seems like old news now that the pipe has been on the market for over a year. Perhaps a short disclaimer is in order. Luca and I are partners in the Pease/DiPiazza Designs studio, but I had nothing at all to do with the AeroBilliard. That was Luca’s baby from the start. In fact, the scoundrel didn’t even give me a hint that it was coming until he announced it to the rest of the world, so I was as surprised as anyone else when he let the blimp out of the hanger. 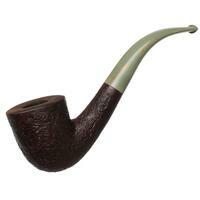 The NeatPipes Chubby Billiard (CB) has been around for quite a while. When it was first released, I found it instantly captivating, sort of like a Castello #10, the Brucianaso, but with a refinement of line, a somewhat more capacious bowl, and certainly a more comfortable mouthpiece. I very much enjoy my #10s (cf. my article, Burns the Nose), of course, but because of the abrupt taper of the shape’s thick, stubby mouthpiece, it certainly receives no bonus points for comfort. Luca’s little gem addresses this with a longer stem, a more gentle taper, and more attention to the thickness of the bite zone behind the button. Kudos to Luca and to Radice for this improvement. The AeroBilliard, then, can best be thought of as an extension to the Chubby Billiard range, with a saddle stem, and the addition of an expansion chamber within its shank, which is noticeably fatter than that of the Chubby, creating a version of the so-called "reverse calabash" that has become quite popular over the past three or four years. 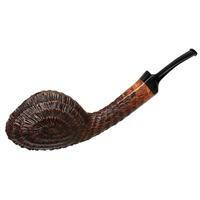 The pipe, at least on paper, offers the advantages of the concept, in a rather more conventional form. As soon I saw the announcement, I had to have one, if for no other reasons than the fact that I was instantly charmed by the shape, and that I figured it might answer my skepticism about the efficacy of these double-chambered things. I asked Luca to select a nice Underwood for me to match the chubby billiard already in my collection. 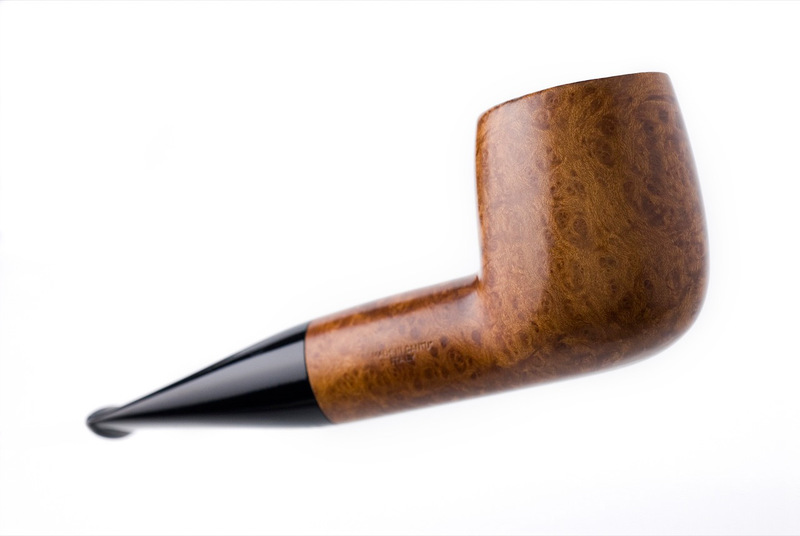 I’ve always liked this finish, the closest thing currently available to the long-discontinued, now esteemed and collectible Epoca from Castello, and it’s especially nice on this shape. The one he sent me is as similar as is possible to my conventional CB. The external dimensions are nearly identical, and the chamber is the same shape and size. Even the Underwood carving is similar. Let the games begin. Since I’d already smoked my CB quite a few times, I had to have a methodology in place to level the playing field, to allow the AeroBilliard a chance to "catch up," so I could come closer to a valid comparison between the two. I began by breaking in the AeroBilliard with the same style and type of tobaccos I’d been smoking in its counterpart, taking notes on the early smoking characteristics for later reference. As has been the case with other Radices I’ve owned, those first bowls were very good, giving hints at what was to come. I found myself smoking the hell out of the thing. I fell in love with its forgiving nature, its effortless smoking, it’s comfortable company. Mostly, I really enjoyed the way it expressed the nuances of the tobaccos I smoked in it. How much of that expression can be attributed to the contributions of the second chamber, and how much of it is just the individual pipe? I’ve often stated the obvious fact that drawing a line through a single data point and calling it a trend is a fool’s errand. Every pipe is an individual, having its own unique set of characteristics, but I have enough experience with conventional Radice pipes to have a reasonable idea of how they smoke, and the AeroBilliard quickly struck me as being distinct enough to lend at least a little weight to whatever conclusions might be drawn about its apparently unique characteristics. After several months and a few dozen bowls in the AeroBilliard, about the same number I estimate I’d smoked in the regular CB, I thoroughly cleaned both pipes, and began the side-by-side comparison, repeatedly smoking the same tobacco, a medium latakia mixture, in each pipe, acclimating them to this single blend to minimize the differences resulting from their individual smoking histories. Things then became interesting. It’s a tough job, but someone’s got to do it. 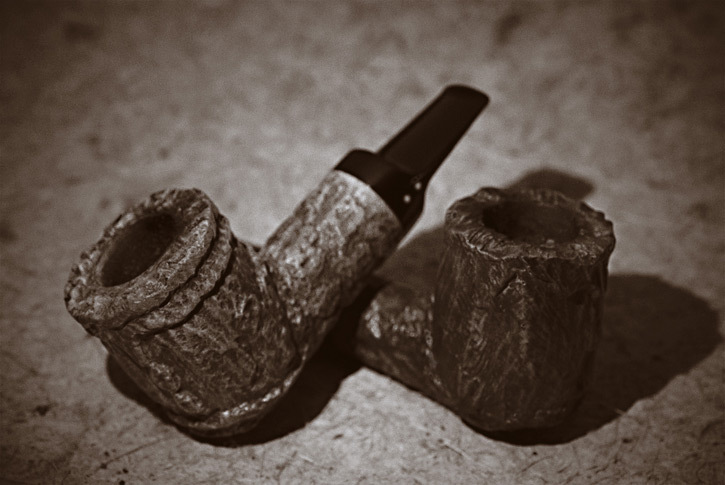 That both of these pipes have developed into excellent smoking machines is a testament to the quality of the wood and the construction that Radice brings to the game. They are comfortable, cool smoking and delicious. 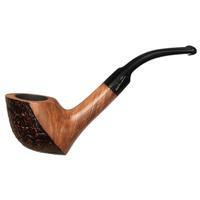 They each smoke to the bottom with ease, and deliver a full spectrum of the tobacco’s flavors. More interesting than their similarity, however, is how they differ in the nature of the smoking experience. The conventional version emphasizes some of the deeper, darker tastes of the tobaccos, the more earthy notes of the blend, and also seems to emphasize the virginias, while the Aero is a little brighter and more detailed, bringing the orientals to the fore, though its smoke is ironically softer, less edgy overall. The AB also offers more subtlety in the taste of the latakia, presenting nuances that are more typically shrouded behind its assertive smoky, leathery presence. What impresses me most about the AeroBilliard is how gentle the smoke seems on the palate, how dry, and how relatively cool it seems. After many comparison bowls, I’m left to conclude that the two-chamber design actually does deliver some intriguing characteristics, and helps the pipe deliver something of a special smoking experience. It is not, however, a panacea. The AeroBilliard is not some sort of miracle machine that will provide a magnificent smoke irrespective of tobacco choice or technique. Yes, if you tend to smoke hot, it will "cool" the smoke to some extent, dropping out some moisture, burnishing the edges of any harshness the tobacco might offer, but its greatest benefits are offered only when your technique is under control. Smoked carefully, the contribution of the second chamber seems to be at its most interesting, and its most rewarding. There are some downsides. Cleaning the thing requires more than just a few pipe cleaners. The AB comes supplied with a tamper-like device with a slotted end designed to use with a clean tissue for swabbing out the chamber. I find that twisting the tissue into the cavity works just as well, though the thoughtfulness behind the device is nice. 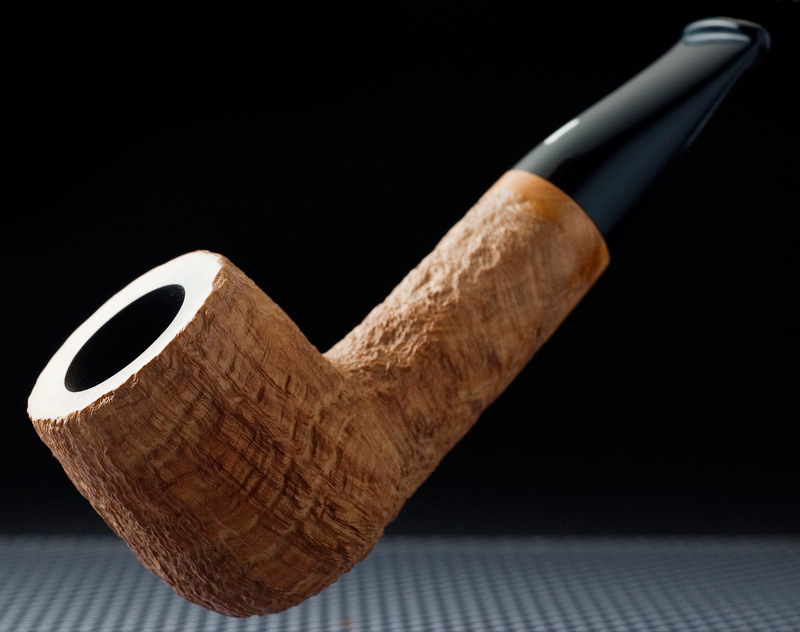 And, if you tend to hand-hold your pipes, it’s important to keep the thing horizontal or with the bowl tipped slightly forwards to prevent accumulated moisture from migrating into the stem, presenting you with an unpleasant surprise with your next puff. The AB is surprisingly very slightly heavier than its counterpart. Mine weighs in at 57.5g as compared with the CB’s 53.3g, but with such a short pipe, the difference is undetectable. 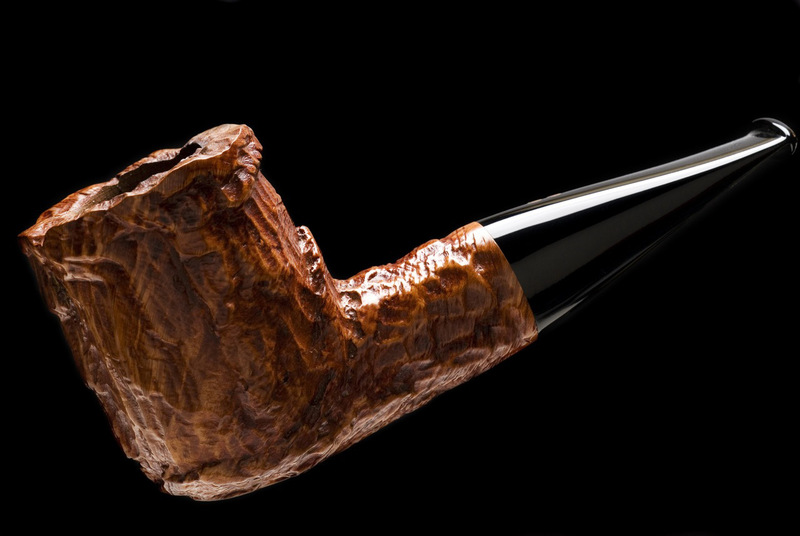 The AeroBilliard is a wonderful and very revealing pipe with a charming shape. It seems to be especially tolerant of moister tobaccos, drying and cooling the smoke more than the conventional version. Relights, too, seem to benefit from the second chamber’s influence, tending to be somewhat smoother, less astringent. Is it the answer to every pipe smoker’s prayers? Probably not; smokers of tobaccos that tend towards harshness will likely find the benefits of the second chamber more significant, and aromatic lovers will probably appreciate the enhanced taste and drier smoke. Irrespective of what you smoke, though, if my own experience is any indication, it’s certainly a pipe that deserves a space or two in our racks.I’d love to read the experiences of those who have tried one, or any other double-chambered pipes; please leave your thoughts in the comments below. Good read, I love the style of your writing. And, you make the idea of this pipe intriguing. But, after trying dry-systems, p-lips, filters, regular calabashes, and stingers, I think that these gimmick pipes do add a certain je ne sa pas to the smoking experience, but not enough so that I will forgo aesthetics of the pipe and how it works ergonomically with my smoking style. If one of these pipes just happens to cross my path with a longer stem, light weight, and in an attractive shape, I will pick it up. Otherwise, if they stay in this nosewarmer style, I probably won’t pick one up. Thanks for the article. It’s was a pleasure to read. Nicely written and illustrated piece. Excellent photography. Is that your work too? I always enjoy your writing, and I appreciate the effort you put into each article. Using a Chubby as a reference pipe was a great idea. Great article. I always wondered what a reverse calabash was. I too love Radice pipes and am glad someone with as much clout as Greg is singing their praises. 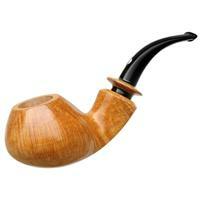 I have always believed the true function of the reverse calabash is to deliver a noticeably cooler smoke. To me this pipe looks under engineered to really get that job done. Neat Pipes has created a line of nice looking RC’s that is more stylish than most. The cleaning process you describe is a real hassle with RC’s and most people will quickly tire of it. If tongue bite is an issue for you then you should consider a reverse calabash. And Neat Pipes makes a nice one. Fascinated by your in depth review of the Aerobilliard and Chubby Billiard comparison. I have a few AeroBilliards and I love them. You hit it right on the nose describing the experience of a reverse calabash. I often suggest a RC but I don’t think they care for it. Atleast now I can refer them to this article and be supported by GLP. You wrote that one of the downsides is cleaning the extra chamber. But as you said a tissue paper will do the job. I think this is as easy as running a pipe cleaner though the shank of a traditonal pipe. The weight is nice and it is balanced well. It’s something I can clench for a long period and still be comfortable. Radice makes great pipes and Luca is a swell guy. I am a huge fan of chubby nosewarmers. I think the Radice chubby billiards and AB hit it out the park. I’ve been smoking my AB regularly since buying it in 5/13. Though I always enjoy the experience, I don’t find significant improvements in either a drier or more flavorful smoke. To me these claims are exaggerated and this design, perhaps a step along the way to engineering the same, remains only a step, not a milestone. Of significance are the RCs an elusive pipemaker who sporadically posts to Brothers of Briar, is his claim that the bigger the second chamber, the bigger the improvement. He has made pipes with the graduated size of the second chambers. That may be true, but to my eye the aesthetics of shape don’t readily accommodate the resulting bulge in what is normally a visual flow of shank and stem. If doing such resulted in a markedly better smoke, I might get used to it. Mike, it’s a pretty tight stretch to state my claims as being exaggerated. As I wrote, the difference between the two pipes is subtle, but it’s certainly noticeable. I’ve smoked them, in addition to several other Radices, long enough to stand behind every word I’ve written here, and elsewhere. Neither am I claiming it a milestone. It’s merely one example of an evolutionary design, and, one that has some merit. The size of the second chamber will, of course, play a significant role in how much influence that chamber has on the overall smoking characteristics of the pipe, and the faster/hotter one smokes, the more dramatic the difference. And, the idea can be taken too far. Pulling out too much moisture, or too much heat, would result in a bland smoking experience. Perhaps if the AB is on one end of a practical scale, the conventional calabash might be approaching the other. 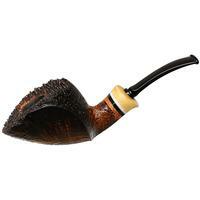 When I read your column I keyed on you using subtle to describe your experience of the AB as providing a drier and more flavorful smoke as that is my impression, gained more from reading about this pipe than actually smoking it. I trust that more reliable smokers than myself can have these findings. But for me, these claims are subtle to that extent that I don’t notice the difference. But if I smoke slowly there are two or three drops of condensed moisture in the second chamber, so the pipe is performing as presented. My source for the two adjectives, drier and flavorful, was from the original Neatpipes post about them. As I wasn’t quoting you I can’t be said to be saying that your claims were exaggerated; but instead that what I had stored in my mind about these expected improvements was exaggerated for me, in the smoke. But I can easily understand, given the wording, that you had this understanding. Moreover my comment was in response to your article on these pipes, so who else would logically deserve that attribution.